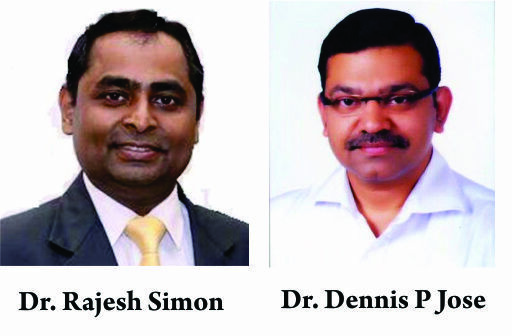 Author: Rajesh Simon , Julio C Kandathil , Dennis P Jose . Nettoor P.O. , Kochi, Kerala, India. Background: Plantar fasciitis is one of the most common pathologies seen by foot and ankle surgeon. Treatment is mostly conservative. Further intervention of injections and shock wave therapies have given improvement to many patients. However, when all these therapy fails, surgical intervention is warranted. A thorough investigation is again done to confirm any other cause of pain. MRI usually reveals the thickened medial cord way beyond its normal size. Endoscopic plantar fascioctomy is done to release the thickened medial cord of the plantar fascia. Gastroc recession is added in case of tight gastrocnemius. Materials and Methods: 11 foot (1M/8F) (2-B/L) treatedfor chronic Plantar fascioctomy with or without Gastroc recession were reviewed in this retrospective sturdy. The mean follow-up was 9 months(range 6 to 24 months). All patients underwent atleast 6 months of conservative management. They were further evaluated with proper evaluation and pre op MRI to confirm the thickness of the plantar fascia pre operatively. All patients were operated with endoscopic plantar fascioctomy with or without gastroc recession depending on the tightness of the gastrocnemius. Results: At the follow up improvement was noted in all the patients compared to their pre op status. All patients returned to their pre op activity. No major complication was seen. Keywords: Chronic Plantar fasciitis, Endoscopic plantar fasciotomy, Heel pain, Gastrocnemius Recession. 1. Wolgin M, Cook C, Graham C, Maudlin D. Conservative treatment of plantar heel pain: Long-term follow-up. FootAnkle Int1994;15:97-102. 2. Zirm R, JimenezAL:Results of Heel SpurSurgery, DiNapoli DR (ed) Reconstructil)e Surgety of tbe Foot and Leg, Update 1990Tucker, GA, Podiatry Institute Publishing, pp 199-201, 1990. 3. Stecco C, Corradin M, Macchi V, et al. Plantar fascia anatomy and its relationship with Achilles tendon and paratenon. J Anat. 2013;223(6):665–676. doi: 10.1111/joa.12111. 5. Johal KS, Milner SA (2012) Plantar fasciitis and the calcaneal spur: fact or fiction? Foot Ankle Surg 18(1):39–41. 8. Barrett SL, Day SV, Pignetti TT, Robinson LB. Endoscopic plantar fasciotomy; a multi surgeon prospective analysis of 652 cases. J Foot Ankle Surg1995;34:400-406. 9. Karr Scott D. Subcalcaneal heel pain. OrthopClin North Am1994;25:161-175. 10. Keat Andrew. Spondyloparthropathies. BMJ 1995;310:1321-1324. 11. Kwong PK, Kay D, Voner RT, et al. Plantar fasciitis. Mechanics and pathomechanics of treatment. Clin Sports Med 1988;7:119-126. 13. Baxter Donald E. The heel in sport. Clin Sports Med 1994;13: 683-693. 14. Leach RE, Seavey MS, Salter DK. Results of surgery in athletes with plantar fasciits. Foot Ankle 1986;7:156-161. 15. Sarrafian SK. Anatomy of the foot and ankle: Descriptive,topographic, functional. Phildelphia: JB Lippincott, 1993;127-137. 16. Arangio GA, Chen C, Kim W. Effect of cutting the plantar fascia on the mechanical properties of the foot. ClinOrthop1997;339:227-231. 18. Huang CK, Kitaoka HB, An KN, Chao EY Biomechanical evaluation of longitutudinal arch stability. Foot Ankle 1993;14:353-357.
the stability of the arch of the foot. ClinOrthop1997;344:307- 312. 20. Reeve F, Laughlin RT, Wright DG. Endoscopic plantar fascia release; a cross sectional anatomic study. Foot Ankle Int1997;18:398-401. 21. Kinley S, Frascone S, Calderone E, et al. Endoscopic plantar fasciotomy versus traditional heel spur surgery: A prospective study. J Foot Ankle Surg1993;32:595-603. 24. Hoefnagels E, Weereheijm L, Louwerens JW, et al. Chronic therapy resistant plantar fasciitis, the effect of lengthening the gastrocnemius muscle. Foot Ankle Surg. 2016; 22(2):58. How to Cite this article: Simon R, Kandathil J C, Jose D P. Endoscopic Plantar Fasciotomy with Gastrocnemius Recession for Chronic Plantar Fasciitis. Asian Journal of Arthroscopy May-Aug 2018;3(2):20-23.